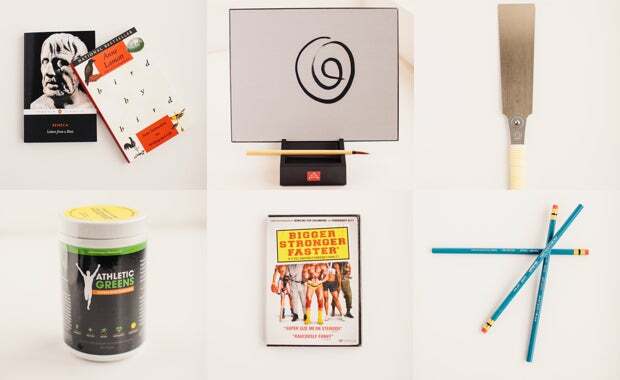 This spring, Tim Ferriss was obsessed with the movie Bigger, Stronger, Faster, the Athletic Greens superfood cocktail, and something called a Buddha Board. And anyone who subscribed to Ferriss on Quarterly got a shipment of this stuff (and more) for $100. 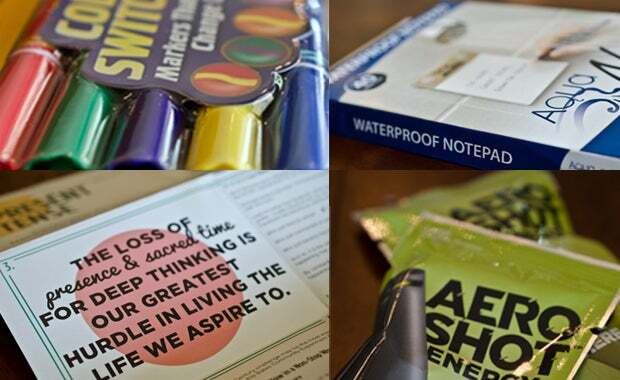 Quarterly sells quarterly shipments of stuff picked out by influential people. And some of them are from the startup world, from Alexis Ohanion to Chris Guillebeau to the True Ventures team. 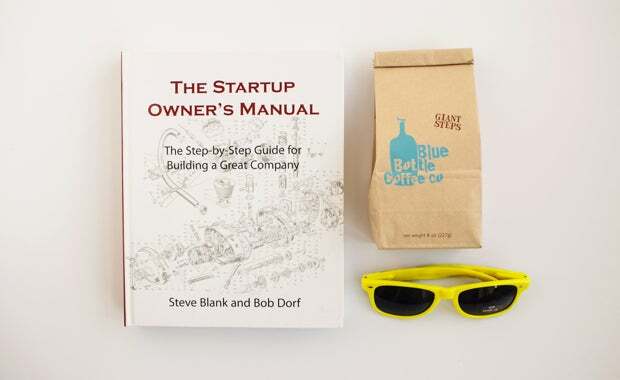 For their latest package, the Silicon Valley venture capital firm shipped out The Startup Owner’s Manual book, some Blue Bottle Coffee, and cool yellow shades. All boxes come with a letter from the sender about why those items were chosen. It also has a hashtag – like #TF01 or #TRU01 – so recipients can gush on Twitter. Below, CEO Mitch Lowe talks about the goal of these celebrity-inspired shipments. Tech Cocktail: Tell me about the inspiration for Quarterly. How did it come about? Mitch Lowe: Quarterly came out of the understanding that as exciting as it is to live in a digital world, there are still experiences we have in the physical world that trump any electronic interaction. Even something as simple as receiving a postcard in the mail is more personal and powerful than any text, tweet, or other digital message you might receive. Tech Cocktail: How did you end up working with entrepreneurs like Tim Ferriss, Alexis Ohanion, and Chris Guillebeau? Lowe: In most cases, we’ve reached out to these people directly and pitched Quarterly on its merits. It’s not for everyone, but the people who get the concept tend to be excited from the start about the possibility of deepening the connection with their fans and followers. Tech Cocktail: Why might entrepreneurs want to subscribe to people like this? Lowe: Part of entrepreneurship is listening and learning from those with experience, and finding ways to be inspired. 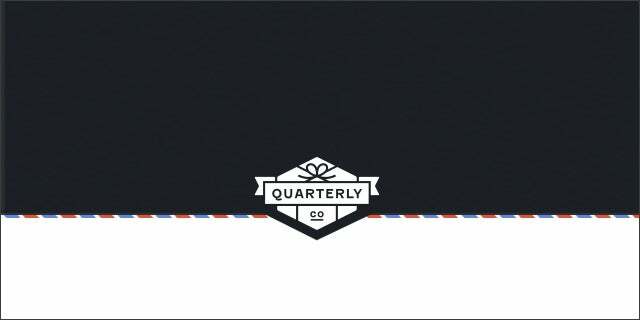 Quarterly is a great platform for both these things. Tech Cocktail: How does it feel to subscribe to an influential person’s box? Lowe: It’s exciting to have such a personal interaction (or what feels like a personal interaction) with any of these people, in the same way that Twitter allows anyone to feel directly connected to the people they admire. You can almost think of it as a Twitter feed for the physical world, where thoughts and ideas are manifested through physical objects sent in the mail.